Over the past 2 seasons it would have appeared that the NHL and all its fans were in a New York State of Mind as the New York Rangers reached the Stanley Cup Final in 2014 and clinched the top playoff spot with the Presidents’ Trophy in 2014-15. Upon falling short of the ultimate prize, the Rangers must gear up and prepare to take their recent success all the way. The Rangers lost to the Los Angeles Kings in a tough five-game series filled with overtime that could have gone either way. Last year, they came so close to making the Final again after trailing the Tampa Bay Lightning in the series 3-2 and having fought off elimination on the road by putting up a huge 7-3 score and taking momentum home for Game 7. In the end, it didn’t end well for New York, losing on home ice in Game 7, 2-0 and leaving the fans gasping for air at the finish line. The Rangers were one of the best teams in the league in goals-for per game (3.02) and goals-against per game (2.28). That was the best average distance in the league; the next highest was actually the Lightning, who had a goals-for per game at 3.16 and a goals-against average of 2.51. The real question on everyone’s mind is, how can a team that can make the Stanley Cup Final, clinch the President’s Trophy and lead the league for a majority of season in scoring and defending not bringing home the Stanley Cup? It could have been a result of their failure on faceoffs, which was the worst in the league at 46.7 percent, or it could have been that they could not seem to capitalize on their power-play opportunities. Playing meaningful hockey deep into the playoffs every year is preferred. But it does come at a price. Mats Zuccarello, who suffered a brain contusion and skull fracture, will be ready for training camp. Captain Ryan McDonagh suffered a broken foot, but is skating and working out and is just about 100 percent. Center Derick Brassard suffered a wrist surgery, defenseman Marc Staal had a boot chip removed from ankle, defenseman Dan Girardi had a bursa excision on the ankle and defenseman Keith Yandle played through a shoulder sprain. They all will be ready for the start of camp. The price of re-signing Carl Hagelin would have been too costly for the Rangers, so they decided to deal him and two draft picks for a young player with upside and a higher second-round pick. Cam Talbot was a really big part of the Rangers season last year, but they don’t need him as Lundqvist will be the guy for years to come. 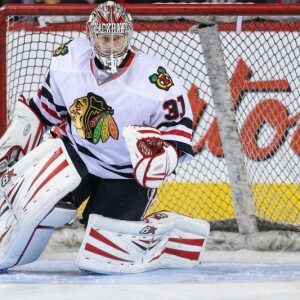 They acquired backup Antti Raanta from the Chicago Blackhawks. Raanta went 7-4-1 with a .936 save percentage and a 1.89 goals-against average in 2014-15 and is 20-9-5 with a .912 save percentage and 2.41 goals-against average in 39 career games. Other key acquisitions include Viktor Stalberg, Raphael Diaz and Jarret Stoll. These aren’t anything big, but some guys you can probably call upon if you need them in the playoffs, especially when your top guys suffer injuries that they are playing through. The Rangers also mixed up their front office staff with Glen Sather stepping down as general manager and handing over the day-to-day duties to former assistant general manager Jeff Gorton. OFFICIAL: #NYR name Steve Greeley as Assistant Director of Player Personnel and Nickolai Bobrov as Director of European Scouting. Coming into the 2015-16 season, the Rangers need to take what they have learned from their success and their failures and turn it into a Stanley Cup championship. Coming off of two successful seasons empty-handed just isn’t an option for a third consecutive year.